Happy Bloomin Monday! 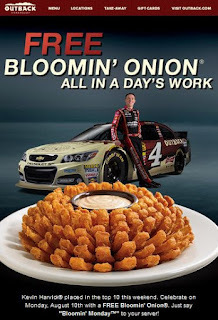 Get a Free Bloomin Onion @ Outback! 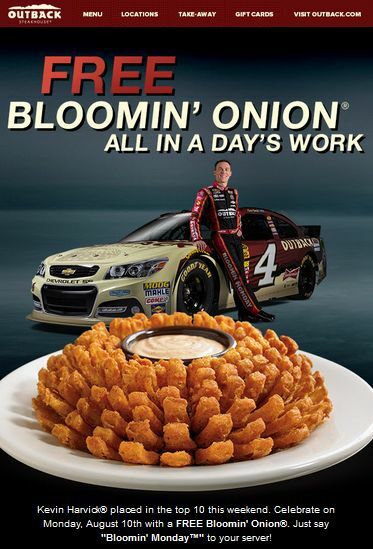 Just stop by your nearest Outback Monday Aug. 10th, 2015 & say, "Bloomin Monday!" when you order. Click below to get directions to your nearest location.